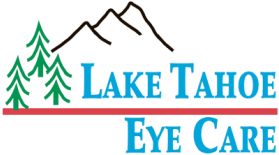 Welcome to the online home of Lake Tahoe Eyecare Optometry Inc. If you are looking for a full-service optometry center, don’t hesitate to contact us. From vision screenings, diabetic vision exams to dry eye therapy and contact lens fittings, our qualified staff will ensure that your needs are met professionally, promptly and correctly. Don’t hesitate to look at our services page to see how our qualified team can better help you with your eye-care needs.